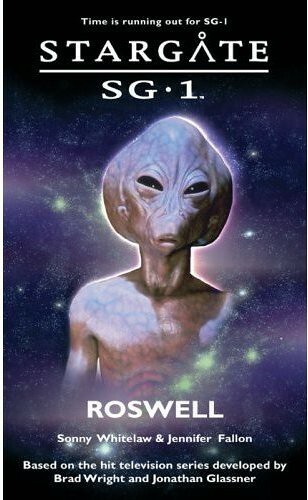 Stargate SG-1: Roswell, by Sonny Whitelaw and Jennifer Fallon is the ninth book in the media tie-in series published by Fandemonium. Maximum Ride: Saving the World and Other Extreme Sports, by James Patterson, is the 3rd in the Maximum Ride trilogy. Maximum Ride: School’s Out-Forever, by James Patterson, is the 2nd in the Maximum Ride trilogy. Helix, by Eric Brown, is an exciting space romp. Bitterwood, by James Maxey, is one of my favorite novels of the year. In a land where dragons rule, and humans are treated merely as slaves and pets, there seems to be little hope. But after his family is taken from him, Bitterwood sets out on a quest for vengeance against the ruthless dragons. And humanity looks to the legendary dragon hunter to set them free. The Colorado Sequence, by Stacey Cochran, is a unique blend of hard science fiction, fantasy, and suspense. Young James Bond: Blood Fever, by Charlie Higson, is the second book in the Young Bond children’s series. How to Lose an Extraterrestrial In 10 Days, by Susan Grant, is the third in her Otherworldly Men series, following Your Planet or Mine and My Favorite Earthling.